Amy’s : Sign up for their newsletter for special offers and updates. Coleman Natural Meats : Complete a short survey for $5 in coupons and then sign up for their newsletter for more savings. Dreamfields Pasta : Your newsletter sign up gets you a $1 coupon now and more within the newsletter going forward. Eden Foods : Coupon code “OCA” will get you 15% off online purchases and signing up for the free eNewsletter gives you access to special offers and recipes. Kiss My Face : Join their email list for offers, discounts and samples. There is also a really cute kids area. Knudsen Juice : Print coupons online right now! Lundberg Family Farms: $.75 off brown rice pasta. Monthly rolling coupon offers accessible with email sign up. Mambo Sprouts : Print coupons now, sign up for mailer, and even pick up coupon books at some retailers! Marantha Foods: Leading brand of organic peanut butter. No online coupons, but offers available through newsletter sign-up. Mrs. Meyers : Sign up for eNewsletter and receive $5 off of your order of $25 or more. Muir Glen : Save $1 now. Nature Made Vitamins : Sign up for their newsletter for promotions, discounts, and special savings. Organic Valley : A large array of coupons available, but you’ll have to answer a few questions and sign up for email. Pearl Soy : Kikkoman owns this brand, so sign up for their newsletter for special offers. Santa Cruz Organic Juice : Print coupons on your printer after you sign up for their newsletter. 3 coupons available. Seventh Generation : sign up to receive immediate access to coupons. Also, enter their green your town sweepstakes for $10,000. 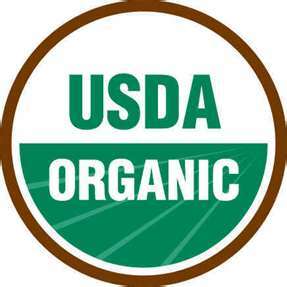 Simply Organic : large selection of coupons to choose from and print. Stonyfield Farms : Print some coupons, and sign up for the newsletter to receive additional offers. To stay up to date on all the latest healthy savings Subscribe or Follow me on facebook! This is awesome….THANK YOU!! I always say there are never coupons for the things I buy. This is a great start. I chuckle when I listen to my super coupon friends who get free pasta and diet drinks. Is it really worth it even if its free?? Thanks for the feedback! It can take a bit more effort to find coupons for healthier items, but it can really pay off. We’ll be updating this list shortly so please check back. Hopefully, we’ll have some good new finds.